Available only from Hammacher Schlemmer, this monogrammed gentleman’s bracelet displays a penny from the year of your choice. 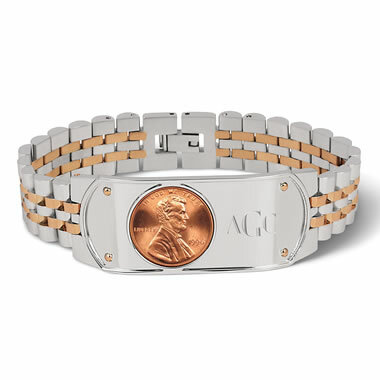 Ideal for commemorating a birth year, anniversary, or monumental period in one’s life, an uncirculated Lincoln penny is mounted to the top of the band adjacent to an engraved three-letter monogram. 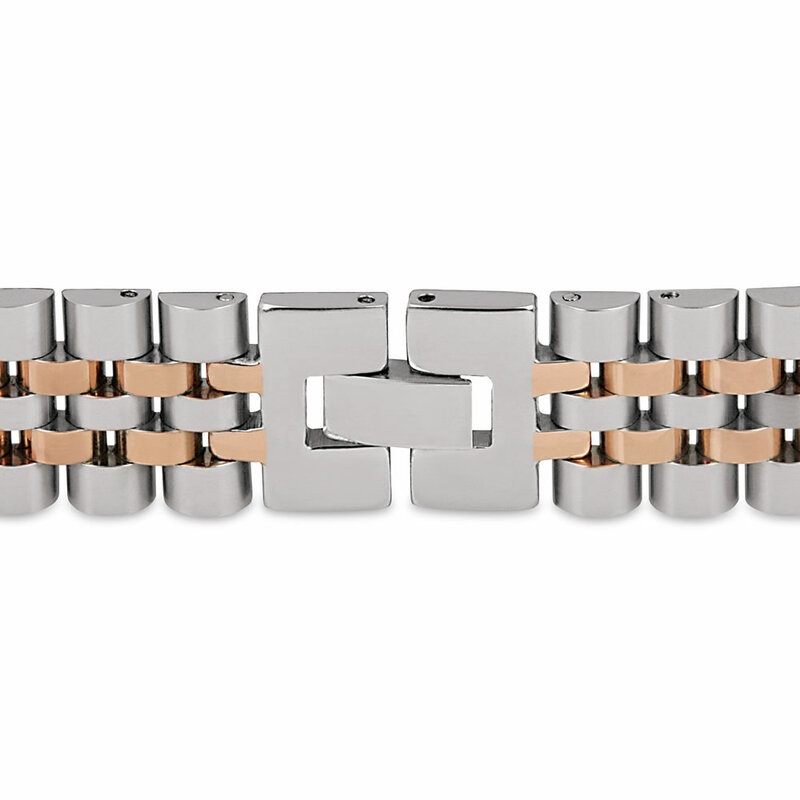 The two-tone bracelet is made of stainless steel with gold overlay and secures with a latch style clasp. For years 1941-present, 1943 not available. Includes a certificate of authenticity that highlights notable events for each year.